I think a large part of the Effects Bay audience knows Lance Seymour – but a few of you might not. Lance is a gear head that started the Gear Talk groups (and other related Gear Talk satellite groups) on Facebook and Instagram. They are wildly popular and I personally frequent a few of them on a regular basis. A great community, and obviously super gear related. Lance is also a session guy and a demo guy.. and a hell of a nice dude in general. I’ve even interviewed him for this site a few years ago. Last night, July 3rd, I was carjacked at gun point. I was shot at, beaten to unconsciousness by 3 armed men outside my home in Atlanta. I suffered a concussion and remember very little of the incident. All the cash in my wallet and cards. If you have any information about this, especially the Bass being sold on-line or at guitar store/pawnshops, please PM me! I am grateful that no one was seriously hurt. Stay safe, my friends. Absolutely terrible. 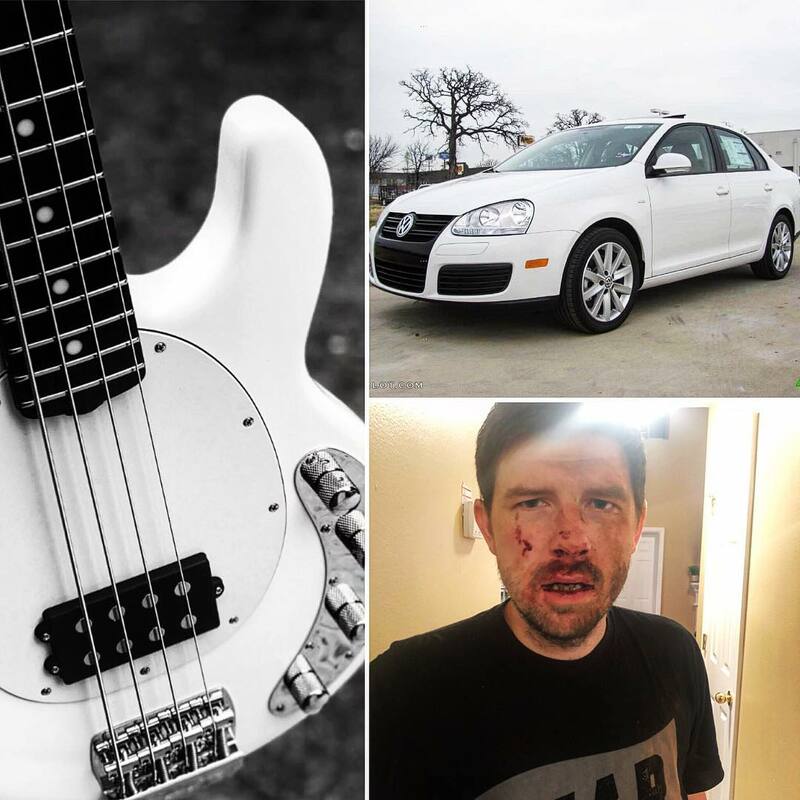 So he lost his car, his bass, his wallet (money and credit cards) and got beat up with obvious medical bills pending. I was absolutely happy to see that someone put together a Go Fund Me for this. I was surprised that the goal was for only $1000, since you know the damages are MUCH more than that. So I’m wanting to help spread the word on this to help it get as high as possible. Seriously, what kind of world do we live in that one of our own brother musicians is savaged and depleted both of his property and substance outside his own home? This is unconscionable. I’ll stop here before I climb up on my soapbox and attend to the matter at hand. Now, I can’t say that I’ve heard of Lance, but because he’s a friend of yours Hank and you recommend him, that’s all I need to know in assessing that he’s a worthy of the assistance extant.